Line for lunchmeat. 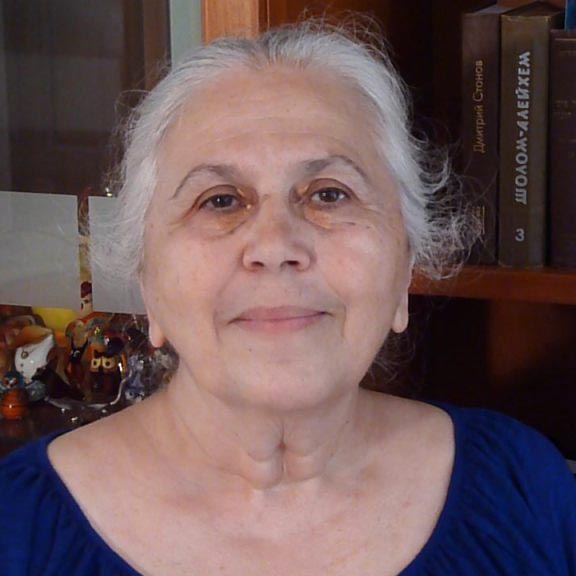 (Photo from http://www.fresher.ru/2014/10/17/sovetskaya-torgovlya.html). Food Shopping: Strategies and Tactics. 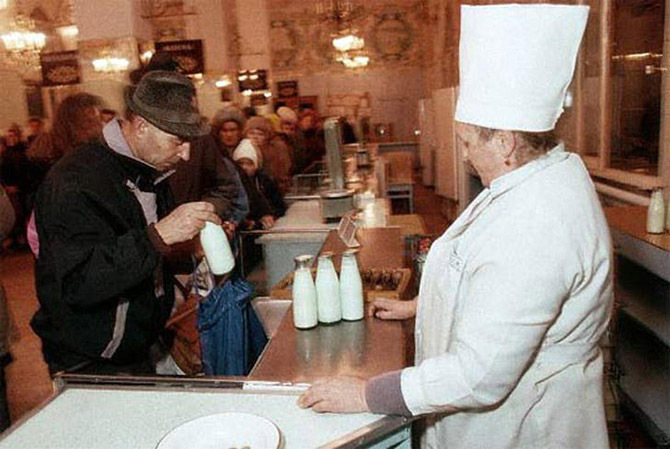 On Saturdays, Dima left the house at six in the morning in pursuit of the week’s supply of dairy. He organized some of the men he met during his rounds into a team that held spots in queues for each other. Line for milk. (Photo from http://www.fresher.ru/2014/10/17/sovetskaya-torgovlya.html). Line for milk from barrel. (Photo from www.go2life.net). 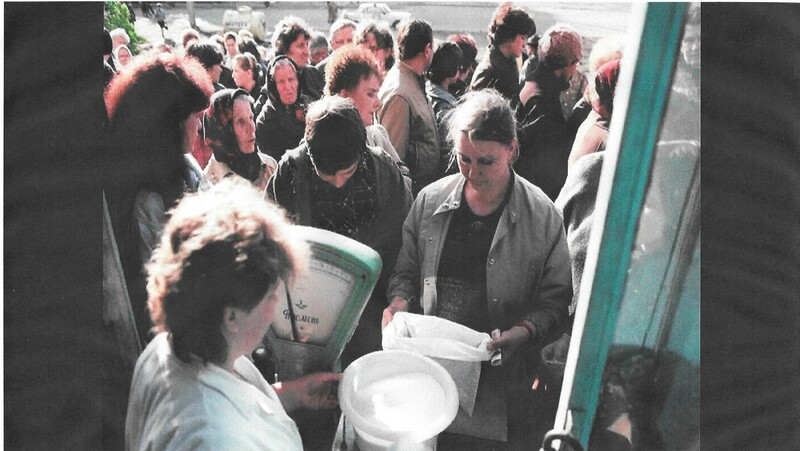 Breathless and proud, Dima returned with avoskas loaded with full jars, bottles or pails. On occasion, the avoskas boasted a paper-wrapped fish or chicken too. Emaciated, long-legged, with a blue tinge, a chicken took long to cook but it guaranteed soup, thighs, wings, giblets, kotlety from the breast, skin stuffed with flour, kholodnoye (a gelatinous dish made from bones and feet,) chopped liver. While Dima ate breakfast, I made cottage cheese from some of the milk, boiled the rest (water and milk had to be boiled for safety), and washed the bottles. They had to be sparkling clean to be accepted at the return centers. 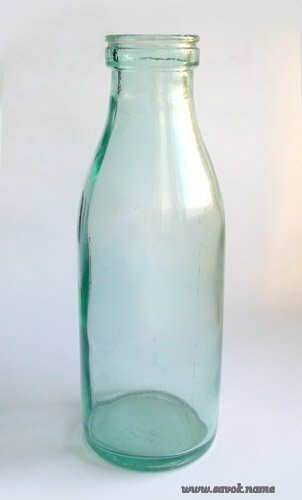 Bottle for Dairy Products. (Photo from www.savok.name). 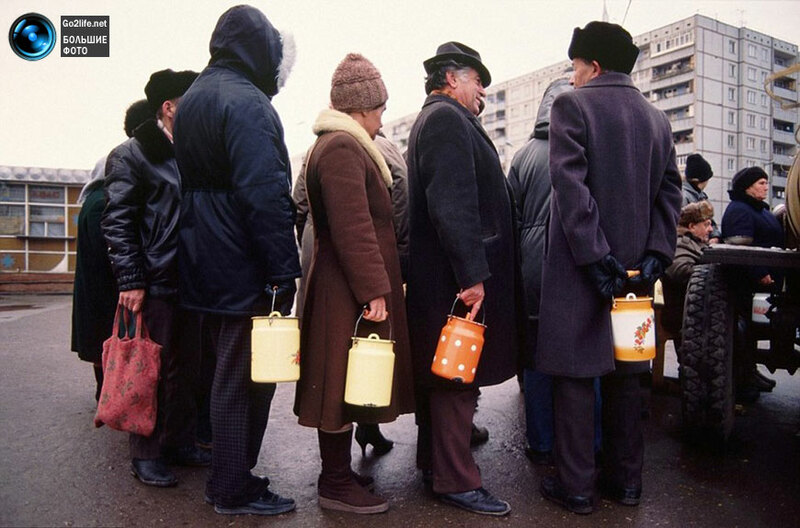 Line to return bottles. 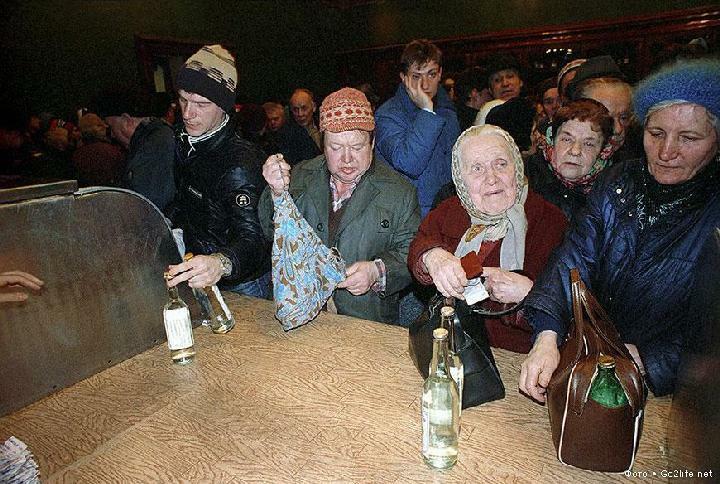 (Photo from http://m.mirtesen.ru/groups/30207256605/blog/43043122092.html). Then Emily and I headed out on a methodical hunt for non-dairy. Empty jars, bottles, pots, cloth bags, and, in a vast improvement over flat pallets, a metal-mesh basket for eggs prepared me for any eventually. Line for sugar. Customers bring their own bags. (Photo from http://m.mirtesen.rugroups/30207256605/blog/43043122092.html). Stores had no packaging other than sometimes thick brown paper weighed with the purchase. 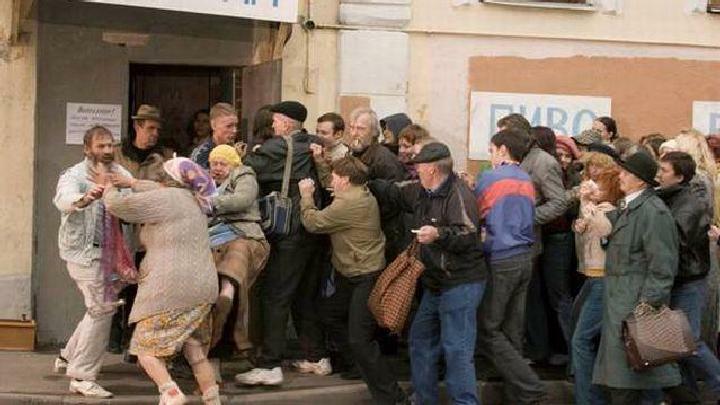 Line to the cashier. The weight of the wrapping paper is included in the purchase. (Photo from http://m.mirtesen.rugroups/30207256605/blog/43043122092.html). We always tried to have coins and small bills with us to avoid being cheated on change and because if the store could not make exact change we would lose our place in line. Move over, Harvard—the graduates of the logistics academy of Soviet life majored in survival and non-law-abiding and were all at the top of their class. We passed by stores that had no crowd spilling out of them—no crowd meant there was nothing to buy—we were looking for crowded stores. The lines were brutal, full of harried, irritated people in a state of readiness to erupt if they suspected somebody of cutting ahead or to deflate if the store ran out of what they were standing for. Line for beer. 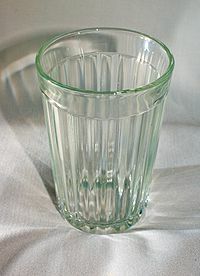 (Photo from http://arbatovagidepar.livejournal.com/1063298.html). 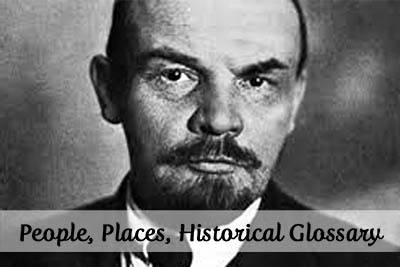 Quarrels featured profanity and emphatic opinions on the ruthless use of children to get double the limit and on Jews supporting Zionists while eating Ukrainian bread and fatback. Most days we did snare something, sometimes barely anything. And sometimes we got lucky beyond our wildest dreams: my fingers, blue and numb, bore witness to holding up to forty pounds of treasure. The avoskas’ handles nearly cut off the blood flow but the discomfort meant little compared to the content of the avoskas. Emily, my little partner, deserved part of the credit: not only did we get double thanks to her but she did not mind holding a place in line while I was in another line. On the trolley, I dragged my bags over the legs of other passengers as they dragged theirs over mine. We of the heavy bags felt untouchable. 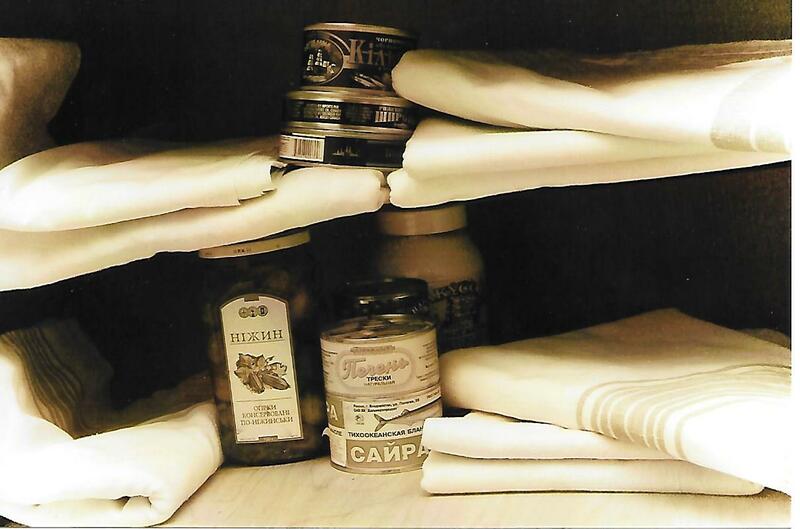 I kept a nonstop lookout for unperishable delicacies: mayonnaise, canned peas, sprats. In anticipation of the next birthday or holiday, I hid them on book shelves behind books or in the wardrobe behind the linen because Dima was a nosher. 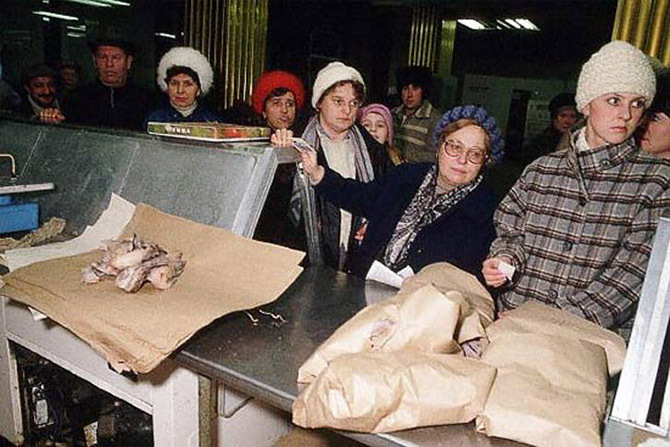 Beginning mid-winter, when the kolkhoz ran out of animal feed, the meat supply improved. A written, or unwritten, rule required that each kilogram sold consisted of two hundred grams of bones in addition to the bones already in the eight hundred grams. Line for Meat. (Photo from http://www.fresher.ru/2014/10/17/sovetskaya-torgovlya.html). Customers tried to ingratiate themselves with the omnipotent butchers, more out of instinct than hope for benevolence. 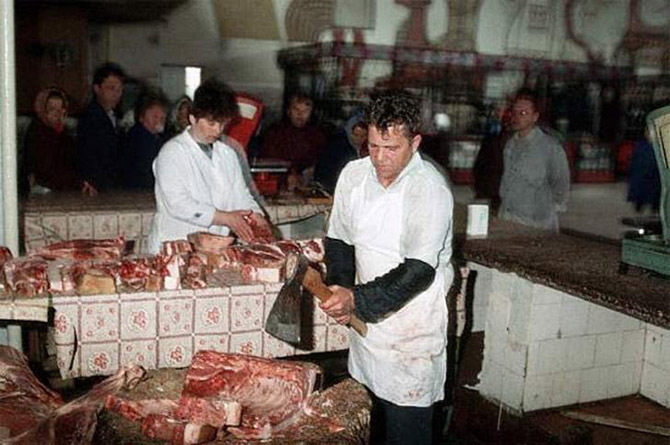 Someone said that communism was a society where everyone had a friendly butcher. Like Rakhil, I did not like apples, or any fruits and vegetables, but it was a source of vitamins for Emily and Dima. 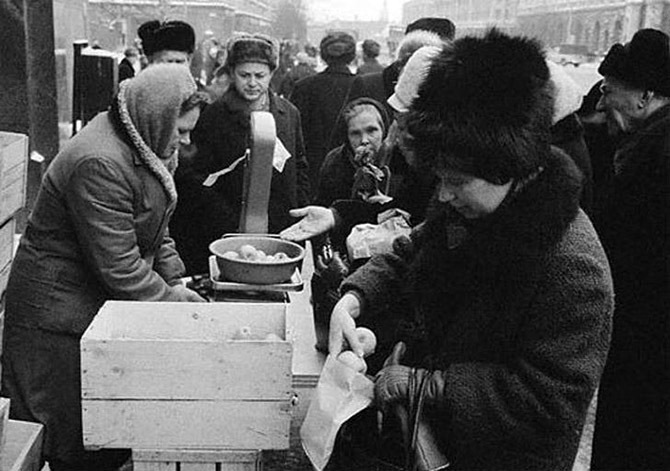 At the store in the center of Kiev that sold apples crowds gathered at dawn. 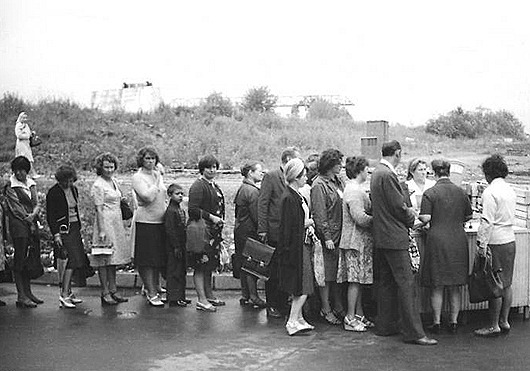 Line for apples. (Photo from http://www.fresher.ru/2014/10/17/sovetskaya-torgovlya.html). 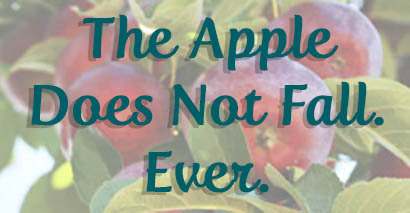 Seasons for other fruits and vegetables were short. One had to take advantage of radishes and strawberries in June, tomatoes and cherries in July, plums and eggplant in August, grapes in September. 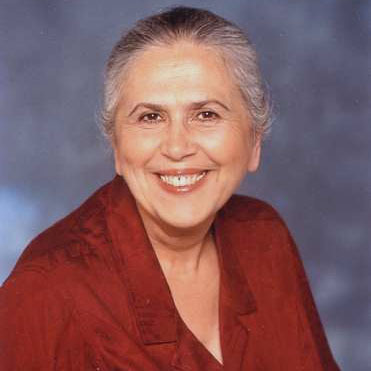 To impress the guests coming to my birthday party, Rakhil haunted the markets for eggplants to make eggplant caviar (eggplant stewed with carrots and onions)—end of July was not quite the right season. 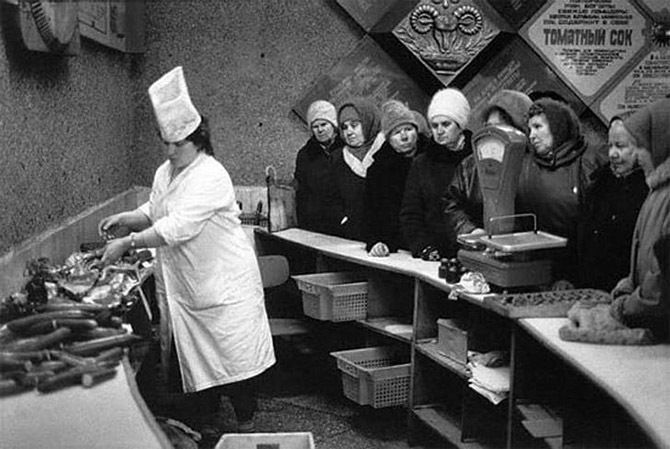 Line for fresh cucumbers in 1979. (Photo from http://vakin.livejournal.com/898179.html). 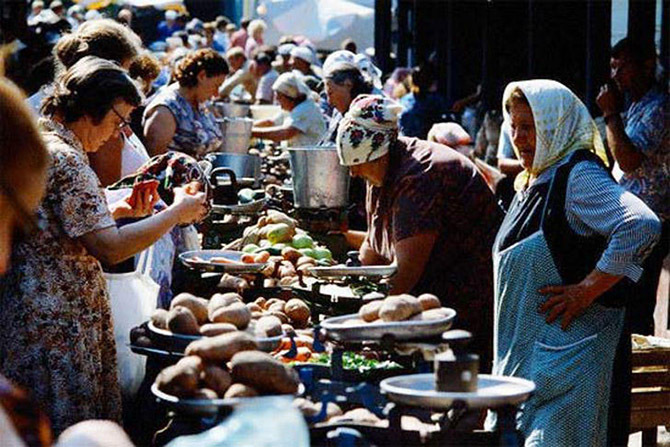 The produce sold in stores originated exclusively in kolkhoz. The supply depended on mother-nature, which inconsiderately sent drought or flood or frost against the kolkhoz. Peasants worked their private lots without any machinery or hired help but, judging by the amount of food they offered at the markets, their lots were immune to the whims of nature. Farmers market. (Photo from http://www.fresher.ru/2014/10/17/sovetskaya-torgovlya.html). 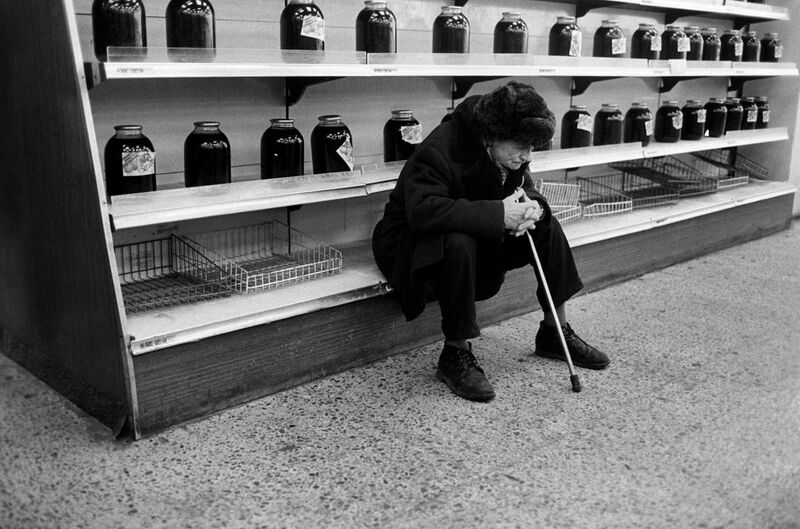 And in the summer, I bought sour cherries once or twice at the market (sold by glass) for vareniki. 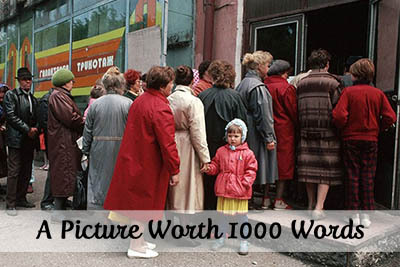 The last Kiev summer, in 1975, I could not afford that treat: a glassful cost two rubles. The rations consisted of one or two deficit and a bunch of unpopular items. At different times, different foods belonged to either category—the sword of Damocles struck randomly and without warning. In the beginning of the 1970s, eggs came with compulsory sugar, barley, and canned bullhead fish in tomato paste the dusty pyramids of which decorated store windows. But even three-liter jars of sour kraut or birch tree juice felt like a gift, if the package contained smoked fish. Large jars with something. (Photo from http://art-on.ru). The guessing game about the content of the ration, the signup, the payment collection, the distribution, and above all, the fragrant whiff of smoked fish, paralyzed work. Those absent on payment day forfeited the ration but somebody else happily stepped in. 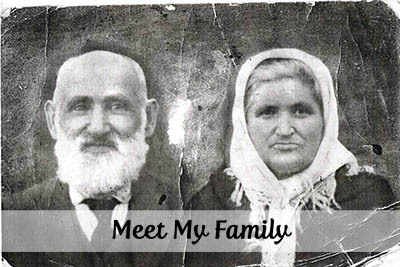 I adapted to snatching additional packages to share the wealth with my parents and friends. The distribution took place in a brick structure between the company’s two buildings. It housed two wooden crates with an air conditioning unit. The door to the structure went missing and rain and snow took their toll on the crates. 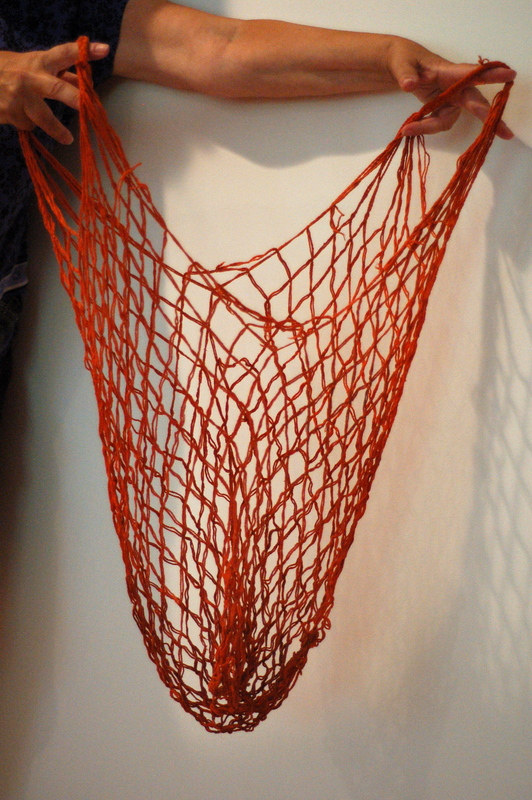 We understood the abstract concept of cooling the air in the summer but not its practical relevance. The size and height of the crates were perfect for our purposes.